The Joe Chiocca Band / Welcome! 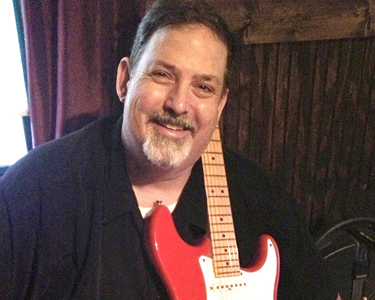 The Joe Chiocca Band performs a blend of Rock, Blues, Jazz, Swing, Folk, R&B, and their own original music. The improvisational force of lead guitarist Joe Chiocca drives this powerful groove - supported by bassist Marc Kannenberg, drummer Joe Wells, and Randy Lilleston on harp and percussion. Led down different paths every time they play, they are defined by their love of music and respect for each other. It's an interchange between the audience and band, featuring The Rolling Stones, The Dead, The Band, Little Feat, Van Morrison, Allman Brothers, and much more. The Joe Chiocca Band brings an intensity to the stage that captures you, and keeps you there! Bull Roast Party in the Lot! NOT, really a Private Event- The Band will be playing in Oronoco Park, Alex. at the Finish Line/Beer Tent of the GW Parkway Classic Rub- morning boogie!